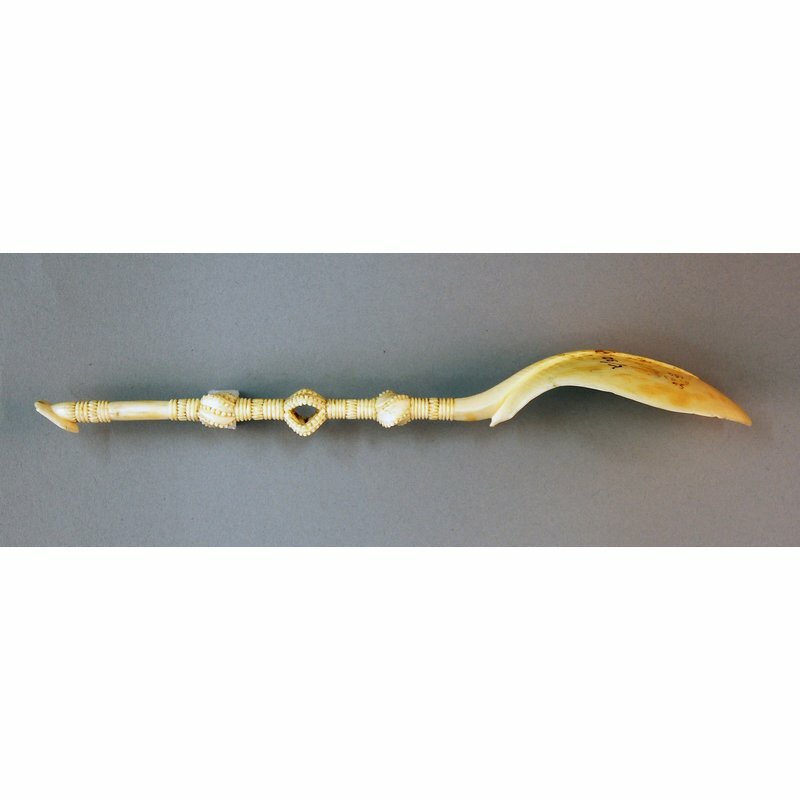 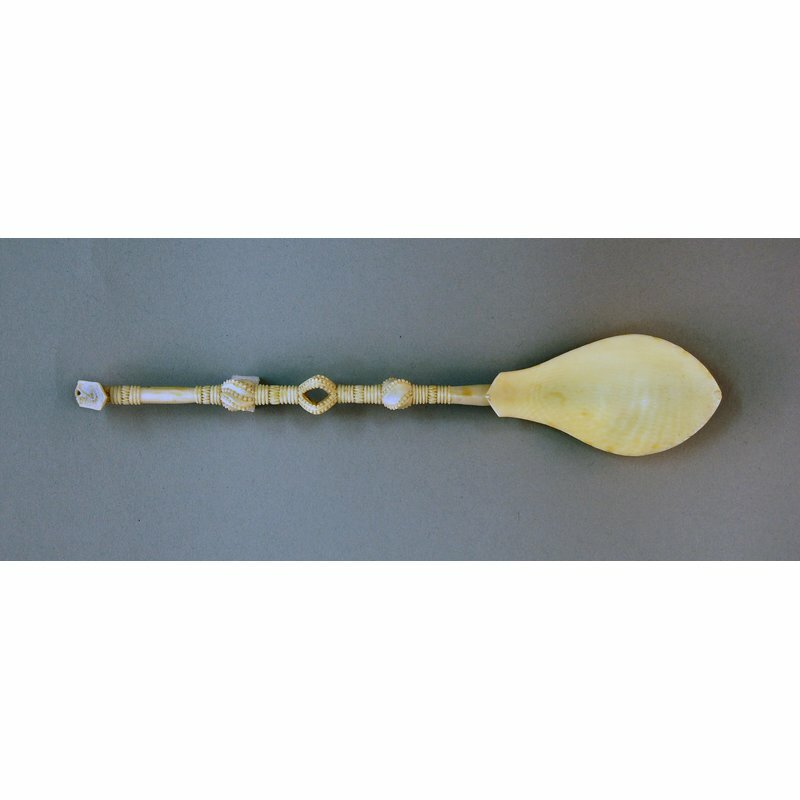 This is a 16th century spoon, carved out of a single piece of ivory. 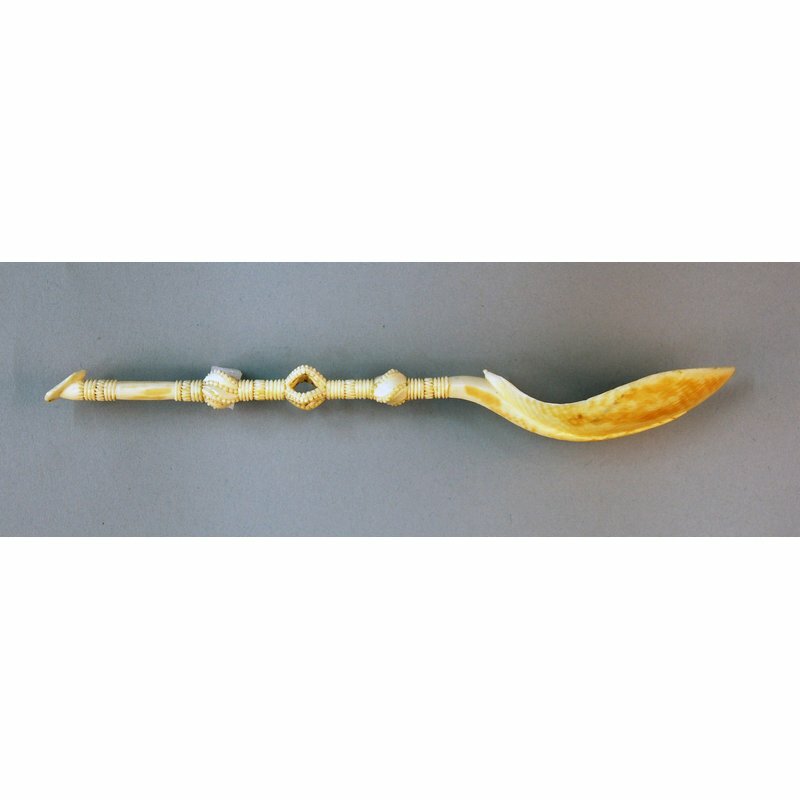 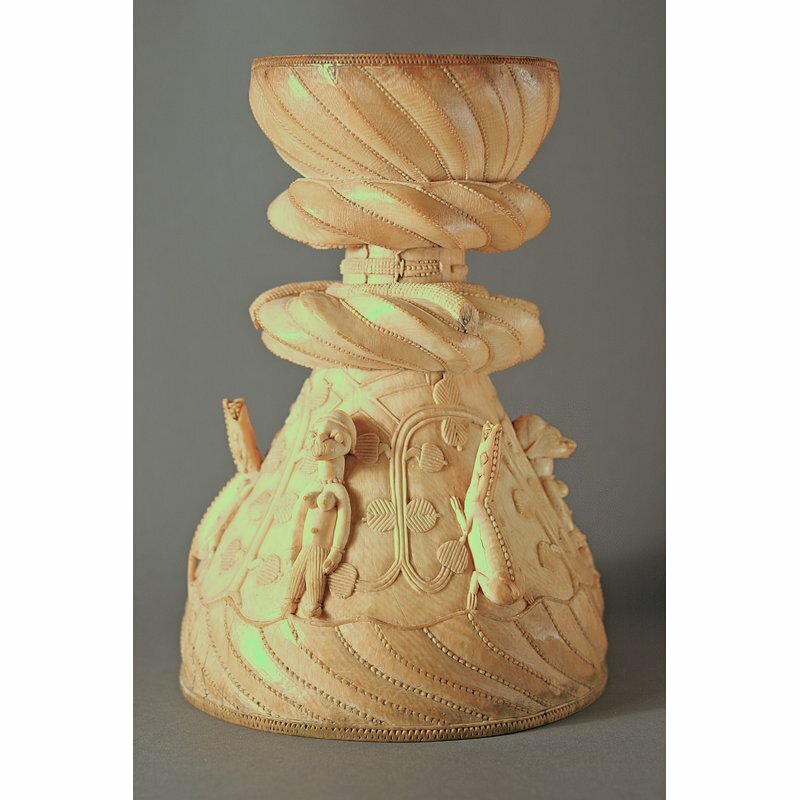 It has a slender stem handle, with spiralled decoration, and a thin, leaf-shaped, bowl. 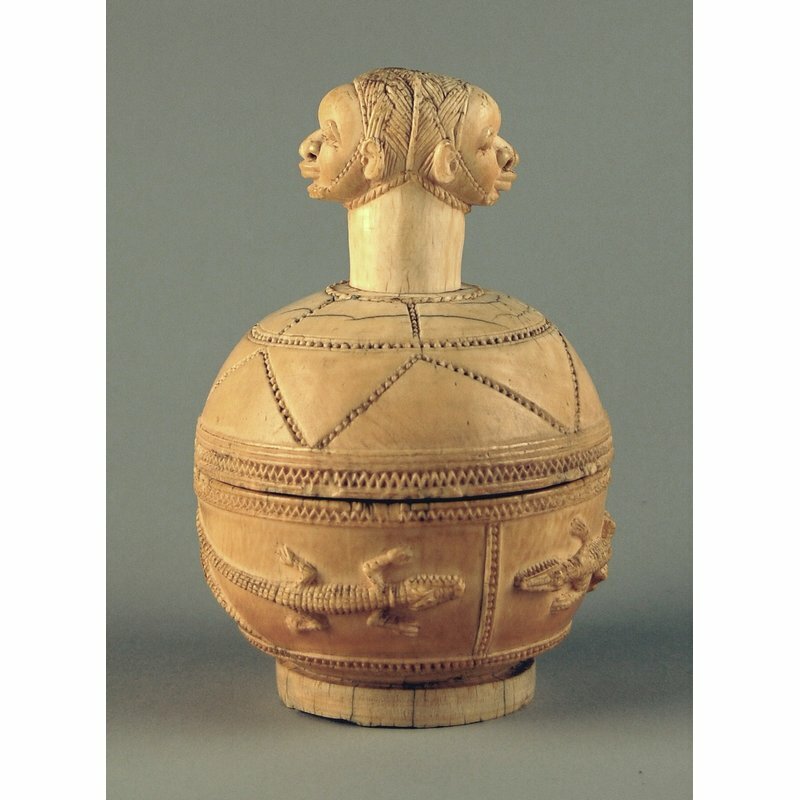 The British Museum records refer to this as Afro-Portuguese, a term used to indicate items from Sierra Leone and Nigeria, made for a Portuguese market in the 15th and 16th centuries. 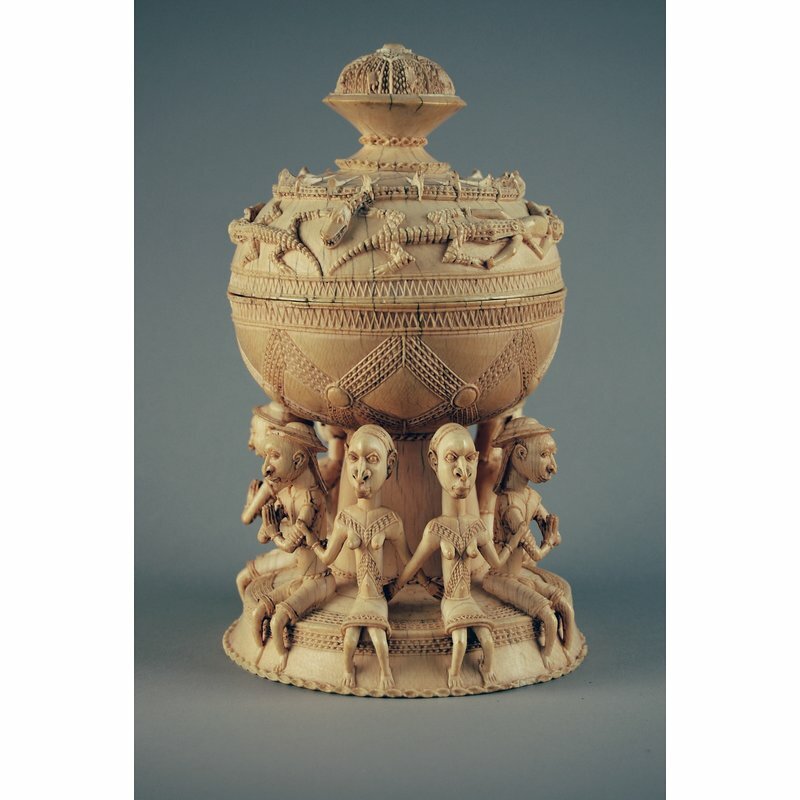 Such items display a mixture of African and European elements and motifs in their overall form and ornamentation, and were considered prestige items across Europe. 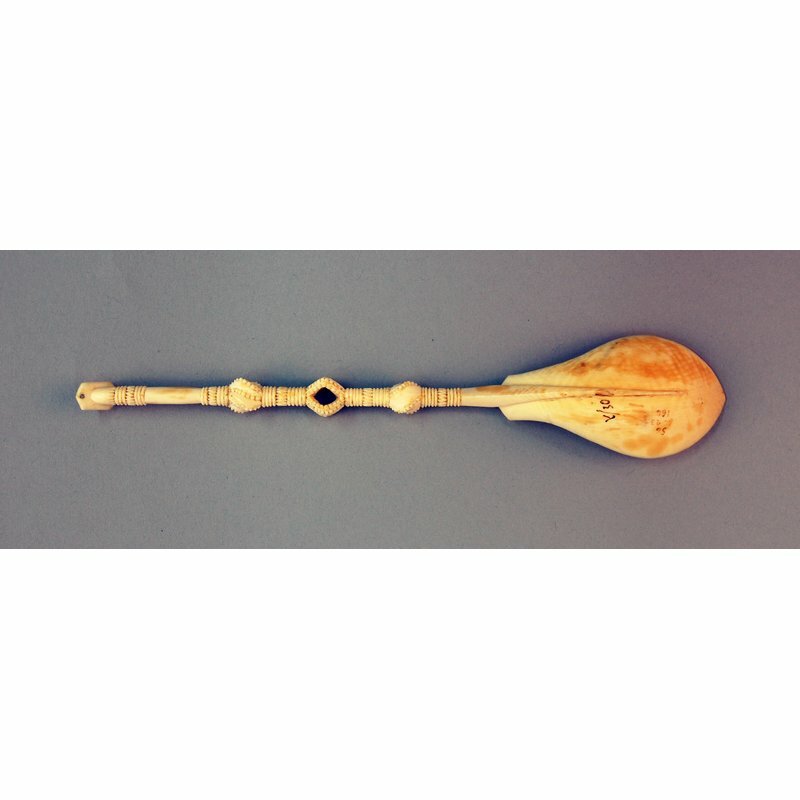 A more specific term for items patronised in Sierra Leone, is Sapi-Portuguese.